Subaru picks up three honors in KBB’s Brand Image Awards. 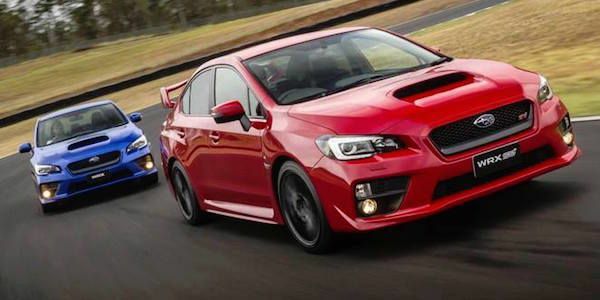 Why do the 2016 WRX and WRX STI get singled out? In KBB’s Brand Image Awards, Subaru walks away with three top honors. The 2016 Subaru WRX and WRX STI “top off” the awards. The performance sedans help Subaru get an award for the Best Performance Brand along with Porsche as the best luxury performance brand. This is the second year in-a-row the WRX, WRX STI and BRZ sports cars help Subaru get the Best Performance Brand award. This award isn’t a surprise to performance enthusiasts who have driven the cars. The next award is the first for Subaru. Subaru gets the top award as they are also awarded the overall crown of the Best Overall Brand. KBB singles out the WRX/STI in this award saying they “top off” the brand’s lineup with fun-to-drive vehicles with the performance sedans. It’s also not a surprise for performance enthusiasts that these sports cars are deemed the best when it comes to overall driving dynamics and driver engagement. It’s Subaru’s core value of building an all-wheel-drive sports car that KBB says sets the Subaru brand apart. Yet, it’s also the brand’s ability to build a performance car that’s affordable for the average buyer that can be used as a daily driver and for recreation on the weekends. Subaru picks up a third award that sums up why the brand is so popular. Subaru also gets the Most Trusted Brand award from KBB. This makes two years in-a-row that Subaru has picked up this award. The brand’s lineup is “most trusted” because their all-wheel-drive vehicles won’t leave you stranded on the side of the road or in a ditch during inclement weather. The Subaru brand is also singled out by KBB for their commitment to safety and for their loyal owners. KBB says, “Subaru's recipe for building affordable, dependable vehicles with all-weather grip and high safety standards has turned ordinary buyers into devout followers. KBB’s Brand Image Awards sum up Subaru’s ability to build vehicles that keep their owners engaged and connected to their cars. Subaru’s 2016 WRX and WRX STI are two cars in their lineup that “top off” what the brand is about.